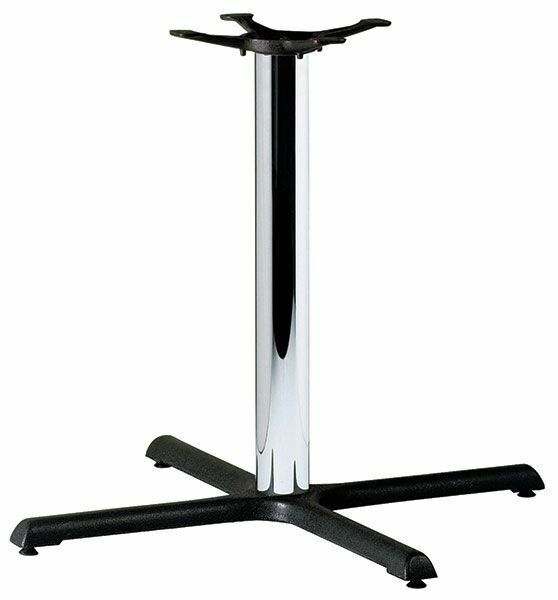 Cafe table base designed for use with a large cafe table top up to a maximum size of 1200mm circular or 1000mm square. Available from stock for a free and fast delivery. Designer table base with an professional look. The foot of the base is extra wide allowing a larger table top to be attached. This is a stock item with a quick delivery lead time.